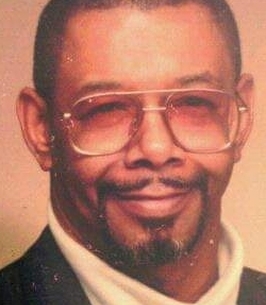 Michael Crockett Service Details - Toledo, Ohio | The House of Day Funeral Service, Inc.
Michael V. Crockett Sr. was born in New York City to Elizabeth Crockett and William Crockett. Michael was relocated and made Toledo, Ohio his home in 1957 at the age of 7 and raised by his mother Elizabeth and Step-Father Mr. Leon Jenkins. Michael was a graduate of Irving E. Macomber Vocational Technical High School class of 1968.Michael was a loving father of 6 children Yvette Horton, Joy Palmer, Michael Crockett Jr., James Johnson, Mark Crockett, and Earl Crockett. Michael was an ordained Deacon who often studied the Holy Bible and ministered to many. Michael also known as "Geronimo" was an avid motorcycle rider, enthusiast and lifetime member of The KNIGHT RIDERS M.C. OF TOLEDO. He enjoyed playing chess and spending time with family; he was a very hard worker and previously employed with Doehler-Jarvis and Libbey Owens prior to his most recent position with Mr. Direct. Michael V. Crockett Sr. aka "Geronimo" is survived by his loving wife Beverly (Ann) Crockett, brother Anthony (Tony) Chapman, daughter Joy Palmer, sons Michael Crockett Jr., James Johnson and Mark Crockett, along with a host of grand children, great-grand children, nieces, nephews, loving friends and riding brothers and sisters. Michael was proceeded in death by his mother Mrs. Elizabeth Jenkins, Father Leon Jenkins, Brother Robert (Rocky) Chapman, Sister Alfreda Gail Clarke, Daughter Yvette Horton, son Earl Crockett and Grandson Marcus Crockett. To send flowers to the family of Michael Victor Crockett, please visit our Heartfelt Sympathies Store. Merlin and I want to send love your way family. We love you and are praying God's peace and comfort in your hearts. From Galax Va. do we send this message.